After the latest poor results, Australian retailer David Jones head John Dixon, has exited the company. The departure of Dixon signals a possible shift in strategy for the David Jones business which acquired $2.1 billion in 2014 by the Australian arm of the South African parent company Woolworths Holdings Ltd (which is not associated with the Australian-listed Woolworths group). Dixon had been appointed in September 2017 but in a statement to the Johannesburg Stock Exchange, the company said that it had undertaken a strategic cost review and “decided to simplify the Australian regional leadership structure”. “The role of regional CEO has been discontinued and consequently John Dixon will leave the group,” the company said. He resigned as an executive director effective May 21, 2018. Dixon was the second highest paid executive in South African-based group, with a renumeration of R23 million (AUD$ 2.4m). 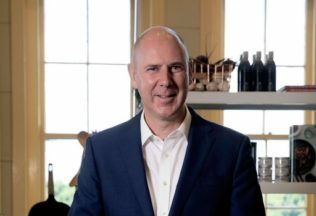 David Jones appointed Dixon to implement the reshaping of the company, in an expansion strategy that included new food product development. In this regard the business recruited in 2017 several highly regarded food technologists and food marketers for new product development. The company had set a budget for implementing its new strategies but expenditure exceeding AUD$ 30 million had not yet yielded results. After the heavy commitment made to food in the corporate strategy for David Jones, it is unclear when wthe return on that investment income can be expected. Some factors that may have contributed in the decision for Dixon to move on were the recent poor financial results that were announced to the Johannesburg stock exchange by the parent group. These were attributed to “poor/delayed execution of key initiatives,” apart from an economic downturn and the intensity of competition. The company wrote down the value of David Jones by AUD $712.5 million, including the recognition of the burden of onerous leases costing AUD $15m. In other news, David Jones has announced it will open its first mini-supermarket in Melbourne’s upmarket South Yarra area in 2019. The 500-square metre store will open at the Capitol Grand apartment building currently under construction on the corner of Toorak Road and Chapel Street. The store has launched its own private label food line called David Jones Food, which would make up a majority of products at the store, including 90 per cent of fresh food, it said.